Unveiling the 12th International Symposium “Mark Rothko 2016”, Daugavpils Mark Rothko Art Centre in cooperation with the hotel “Park Hotel Latgola” is offering an exhibition of three artists – former participants of the International symposium “Mark Rothko 2014”. After 2-years long break, Daugavpilians and guests of the city have an opportunity to re-encounter with artists who inspired by Rothko’s hometown had put their stories and interpretations on canvases. 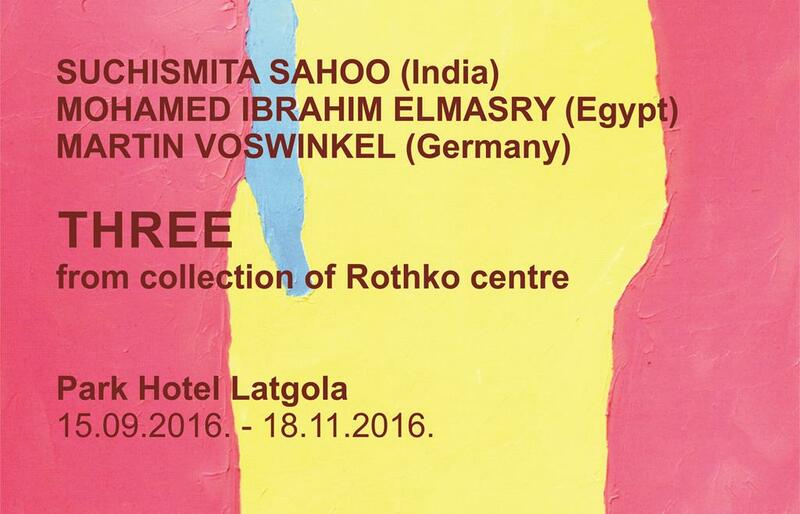 The exhibition is presenting works by Mohammed Elmasri (Egypt), Suchismita Sahoo (India) and Martin Voswinkel (Germany). Mohammed Elmasri is an artist who is interested in a collective product of community, metaphorical elements of the community that reflect the general mood and transforms its innovations in new forms. The artist believes that an artwork is an attempt to change the existing reality, or to create a new one, thus searching for a solution to the reality. In his works he reproduces reality, trying to understand the culture, as well as the similarities and the opposites in it. Through his works he is aiming to bringing together people and creating awareness among them. Suchismita Sahoo is interested in social problems and ecology. The artist in her works reproduces natural forms and contours in filigree and super realistic ways thus “encapsulating” different types of plastics and polyethylene materials that are daily encountered by us. Some of those materials are noticed by people while others are perceived by us with indifference – as the norm. Suchismita wants to accentuate them in her works, to encourage people to think about changes in nature caused by human activities. For Martin Voswinkel, movement is the leitmotiv. The artist believes that the movement affects the performance, even if it appears static, because our eyes try to focus on painting, but fail. Martin encourages viewers to view paintings slowly, maybe to look at them twice or even three times to thoroughly look into it, thus submerging in a relentless dialogue between the interior and the exterior space. The exhibition of works from the collection of Daugavpils Rothko Art Centre will be available for viewers until 18 November 2016.